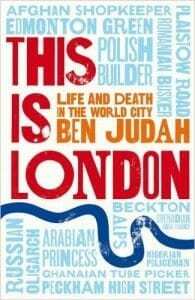 Ben Judah is an acclaimed foreign correspondent who has chosen to turn his reporter’s gaze on the citywhere he was born: London. – To discover the new face of London, beyond caricatures, through genuine portraits – the Polishbuilder, the Romanian musician, the Filipina housemaid, the Russian mother, or the Egyptian heiress. What are the best parts of the book? Nearly 40% of Londoners were born abroad. The city is made up of several layers of immigration that have come in successive waves over the years. As one of the protagonists puts it, there is an informal hierarchy between them: at the “bottom of the pile” there are Africans and West Indians, with Eastern Europeans in the middle, and “white Brits” at the top. In his kaleidoscopic approach, Ben Judah not only focuses on impoverished immigrants, he meets with social workers, teachers, and policemen, who have witnessed London’s metamorphosis. He also shows that privileged newcomers from Russia and the Middle East alsohave their share of disillusionment. This new London is interestingly described as a patchwork of ghettos.